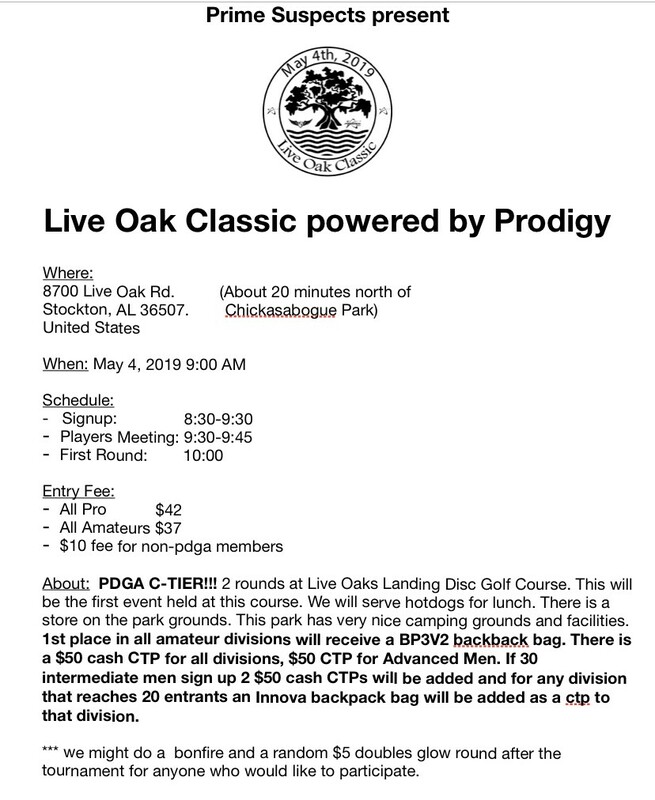 2 rounds at Live Oak Landing disc golf course. Hotdogs for lunch/ store nearby. 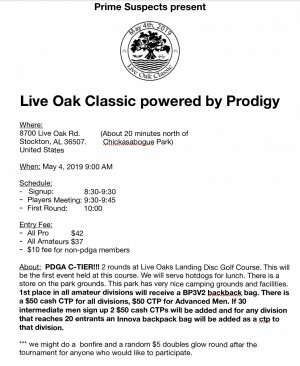 After the tournament there will be a bonfire and a random doubles glow round.